If you want to reduce the risks in your recruitment then this post will explain exactly how to use personality type in recruitment. Recruitment is always difficult. When there is low unemployment you struggle to get enough applicants. When there is high unemployment you get plenty of applicants but still struggle to find great candidates. The days of relying on “gut feel” and “experience” are long gone. If you want to hire better candidates than your competitors then you need to use better tools. Without using modern tools you leave yourself at a serious disadvantage. It’s like the traditional lumberjack who continues to walk into the forests with his trusty old ax over his shoulder. Only to discover his competitor has just bought a chainsaw. In this post we will look specifically at personality testing in recruitment and you will discover 5 keys to using psychometric tests in recruitment. Owning a chainsaw is not enough, you need to know how to operate it safely and effectively. Regardless of a candidate’s skills or experience, the environment you offer will suit some candidates more than it suits others. Why is this significant? If you want high performing staff then you need to place them in an environment that is compatible with their core personality. 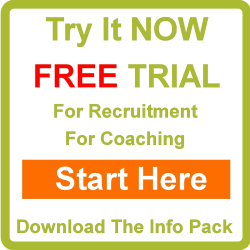 The trouble is that we are unaware of the personality type of the environment we are offering and therefore oblivious if it is compatible with the candidate. As a key member of the Customer Service Leadership Team, the Business Manager will contribute to the achievement of financial and customer service objectives through the creation and implementation of processes designed to enhance the customer experience. The Business Manager reports to the Head of Service and is responsible for the effective operation of their customer sector, specifically the achievement of financial and customer service objectives and ensuring best practice is identified and implemented. The Business Manager is responsible for the controls and governance of existing and new processes and will seek to identify and exploit opportunities to improve customer service delivery through the implementation and management of business process change. However there is nothing that reveals what kind of environment we are dealing with. Environment is very important to humans and its a very personal thing. An environment that works for one person, may not work at all for another. The amount of cold calling. Some personality types absolutely need a short sales cycle. They are unlikely to stick with you if they feel the sales cycle is too long. Some people cope with cold calling better than others. So where it is fair to say that all sales roles may require cold calling, the degree to which it is required varies. Certain personality types need to feel they have autonomy to be happy in their work. If you do not offer any then you probably should not offer the job to people who need it as they will not stick it. If you have excellent support systems in place then there are certain personality types that will really value this. Other’s may not care. You may use your good support systems as an incentive when recruiting however to attract certain personality types. Attracting the right candidates is difficult in any economic climate. In order to attract the right candidates you need to know what appeals to them. Sure you can write the usual dull advert and job description like the above example and hope that the right person sees it. Or you can know the exact words that will attract the candidate you are specifically after. Again this has little to do with their skills or qualifications and it has everything to do with their personality type. Skills are over-rated. Did you ever fire anyone because they didn’t have the skills? No, you fire people because they are not fitting in or they do not get along with you or their colleagues or their customers. If someone lacks a skill we can train them. However if their personality is a poor fit for the environment you provide, then there is very little you can do about it. In fact the only thing you can do is change the environment. We tend to rely on skills when recruiting because we can measure it. It’s a big easy box we can tick. But lets not kid ourselves, a lack of skill is usually the least of your problems. When you are interviewing someone what is it your are trying to assess? In a nut shell it’s everything other than skills and qualifications. You are trying to assess all the stuff that the application form doesn’t tell you. You are trying to figure out the human stuff. In a word, you are trying to figure out personality issues. At risk of stating the obvious, make sure you place the right personality type in the job role you offer. Key 1 was to ensure you understand what environment you have. Key 4 is to make the decision to actually match the personality of the candidate with the environment. For over fifty years companies have known that when you place a person in an environment that suits them, you see an increase in productivity and performance. The right person in the right job is mostly about personality matching, not skills. I’m not saying you ignore skills but you do need to put them in perspective. You have to go way beyond skills and look at personality if you are to put the right person in the right job. If you are to retain your staff and if you are to get the most from them, you need to manage them in accordance with their personality type. If they need a lot of autonomy make sure you give it to them. If they feel excellent support systems are important, then make sure you provide them. If they need plenty of notice and hate surprises then don’t dump work on them without notice. Give them the heads up well in advance. Delegate and communicate with them in accordance with their personality type. This is how you reduce staff turnover and increase productivity. Be aware of the personality types you are working with and adjust your own management style to accommodate their needs. You may also enjoy reading about the team building personality test. This has been an article about using personality type in recruitment.